Our services include drivers who speak different languages according to your needs (English, French, German and Chinese) and who are appropriately dressed in a dark suit and tie. Always impeccable to give an image of exclusiveness and reliability. Full organisation of transport for weddings. Buses and car for the bride and groom. We offer integral transport management for weddings. We provide a chauffeur-driven vehicle for the bride, with or without decoration, a car and driver for the groom, automobiles or buses for transporting guests to the Church and from the Church to the reception, as well as transport by bus or automobile for the return trip. In short, we advise you and provide you with an exclusive service throughout your wedding. Total organisation for your transport needs in events, with optimisation of costs. At Autos Noroeste we are specialised in managing and organising transport for both big and small events. Many event organisers rely on us for transport solutions, as we are known to offer the most effective and competitive solution. 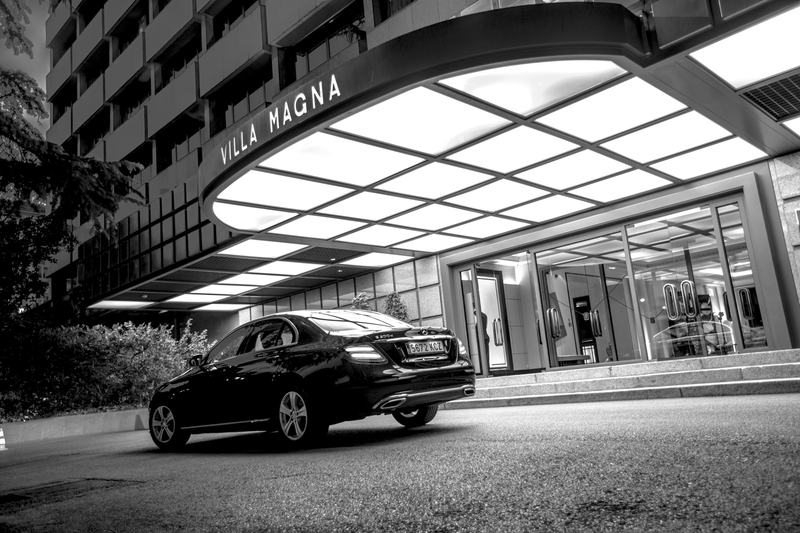 We deal with the planning and transfer of participants from the airport or station to the hotel and from the hotel to the conference venue. We arrange a suitable driver and vehicle for the conference-goers and VIP guests and we provide whatever transport you might need in buses, minibuses and automobiles. If you require the extra service for your clients, we can provide stewards/stewardesses. We have organised events for lawyers’ meetings, pharmaceutical conventions, congresses for technology companies, business meetings, prize-giving ceremonies, etc. Upon request, we can make a member of our team available to cover transport needs. We supply a specialised and unique service to companies. We respond rapidly and can send you a chauffeur-driven car within 30 minutes. Our office is open 24 hours a day to help you deal with any problem that might arise. We provide you with tools for making your online reservations. We have a highly competitive cancelation policy; you can cancel almost in the last moment. We always attempt to adapt to the changing needs of our clients, providing a top-quality versatile service. Our global company management service includes transport for your top management team, making automobiles available for board meetings, transport for company staff in buses or automobiles whenever necessary. In short, we offer integral solutions for any transport-related issue you might have; our services are effective, efficient and adapted to the needs of our clients. The service consists of providing passengers with a chauffeur-driven vehicle at their disposal to take them anywhere they need to go for anything they may need to do. The same driver is assigned to you the whole time so that you can recognise him, thus providing a more personalised service. The driver is perfectly familiarised with the city and will be waiting for you at the door wherever you are, providing you with an effective and efficient service. At Autos Noroeste we are specialised in this sector; our drivers have provided services for financial road shows, for instance, or have driven specialists in market studies during their research activities, organising the most optimal routes for them. Travel with our drivers to enjoy unique visits to our cities. If you need an official tour guide we can also arrange one for you. Located at 30 Km away from Madrid trough the road N-II. City Patrimony of Humanity recognized by the Unesco. Among their most significant monuments are they following: The University, Cervantes Native home, Cervantes Square, The Palace of the Archbishop, The Cathedral or La Casa de la Entrevista , place where Cristóbal Colón and the Catholic Monarchs first met before the discovery of América. Located in the mountains of Guadarrama at 1,040m high .Its most inportant monuments is the Monasterio de El Escorial, which was built in the XVIth century under the orders of Felipe II. This monumental work is unique and comprises of the Monastery , El Palacio, la Biblioteca, El Panteón de Reyes y las Casias del Príncipe y del Infante. The Monastery is considered the eighth wonder of the World and was declarred Monument of Worldwide Interest by the Unesco. Leisure place of the Royal Family, declared Real Sitio in the XVIth ceuntry. The most distinguishing construction dates back to the year 1561. Other important places are La Casa de los Infantes, La Casa de la Monta, La Casa de Oficios y Caballeros, Las Cocheras de la Reina Madre Isabel de Farnesio , El Cuartel de Pavía el Hospital de San Carlos , El Teatro Real, el Palacio de Godoy, ect .A very interesting way to go to Aranjuez is riding the Tren de la Fresa (A train) that Works during all weekends in May and June from the high-speed train Ave in Madrid and the fare includes visit to the most important places in this town. At 45 km to the south –east of Madrid. One can arrive at Chinchón through the railcar that goes to Andalusia or the one that goes to Valencia. The monumental heritage of Chinchón is very wide and has an indubitable artistical value. Its most interesting monuments are: The Main Square, The Church of Nuestra Señora de la Asunción, The Clocks Tower, The Monastery of Inmaculada Concepción and The Castle of the Earls. Another monument to be consideredis the Convent of the Agustinians, built in 1626, rebuilt and restaured and nowadays a Tourist hotel (Parador). This City is to 45 minutes of Madrid forthe A-6. The first historical referents to the town of Segovia dates back to the year 192 b.C., when its Celtiberian inhabitants were defeated for roman forces. As a result of the subsequent two thousand years of existence, Segovia has become one of the most monumental towns in Spain. Their Monuments of having forced visit are: The Aqueduct, The Alcazar, The Cathedral, Church of La Veracruz, Convent of the Discalced Carmelites, Casa de los Picos, Alhóndiga, Lozoya Tower, Church of San Martín, Church of San Miguel, Royal Prison, etc. 70 km from Madrid, following the dual carriageway N-401, you reach the city of the three cultures. Its privileged location over a natural promontory turns it into a “peninsula” surrounded by river Tajo. The incredible wealth of monuments in the city deserves an indepth attention. It is essential to visit The Hinge Door, from the reign of Carlos V; Santiago del Arrabal church, an extraordinary temple of Mudejar architecture; Zocodover square, the centre of the city since the Muslim period; the fortress-palace (Álcazar), an impressive fortress and imperial residence; the Town Hall square; Alcántara and San Martín bridges, over the dark waters of river Tajo; the ruins of the Roman Circus. The conventual Toledo is plunged into silence; sheds are worth admiring, extremely beautiful in foggy days, etc. ÁVILA is the town for heritage, history, art, gastronomy, festival, mysticism, culture and nature. ÁVILA is the mediaeval town of the three cultures, a World Heritage Site and a town on the Jewish Quarter Network. ÁVILA is a contemporary town that combines modernity, tourist quality, comfort and the avant-garde with accessible, social tourism. Walls, houses, palaces, churches and convents make up the town’s artistic heritage as a result of its rich history, which was protagonised by the cultures that lived here. History, art, music, traditions, gastronomy and nature come together to offer visitors an enriching stay in Ávila. The image of the mediaeval town comes from its walls, which are much more than a mere symbol in Ávila; they are the monument that explains the town and how it is structured. Visitors to Ávila should discover the town slowly. At different times of the day, the light changes and, as a result, so does the town’s buildings. Routes can follow a theme or they can be random and, in one of the town’s streets or plazas, visitors can enjoy discovering a building, a cornice, a window, a story, a legend, a bar or anything they can use as an excuse for returning. The service consists in providing a passenger a vehicle with driver at his disposal to take him to the places he needs to go to fulfill his duties. He would be assigned the same driver throughout the whole service so that the passenger can recognize the driver and a personal chauffeur service is provided. The driver knows the city well, he is waiting at the door of the places you should visit, the agenda is fulfilled effectively and efficiently. Autos Noroeste is specializes in such services, our drivers have performed from financial roadshows to accompany market research specialists in completing their investigations, planning the routes for the most optimal shifts.